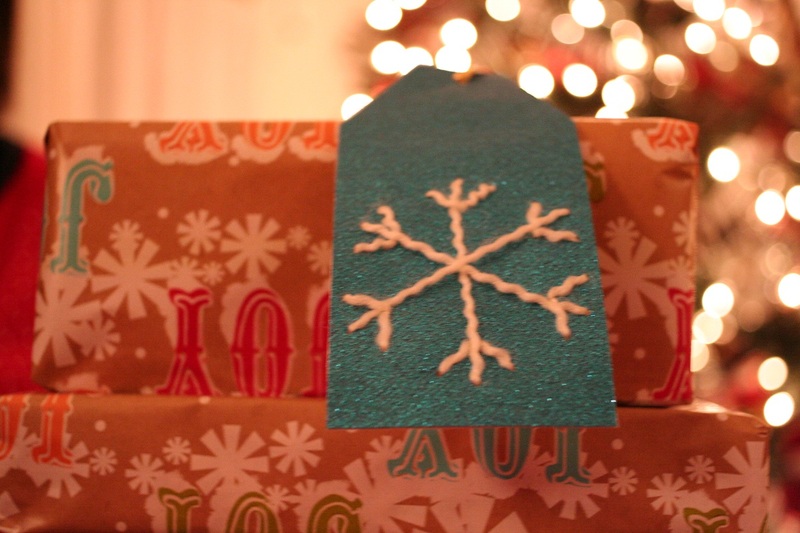 I made these gift tags for the presents we gave our family. I can’t remember where I got the idea but I think I found it via Martha and I have a feeling it was in one of her recent magazines. I made them by drawing a snowflake onto a piece of cardboard, then using one of my Mom’s scrapbooking tools I poked holes in the sparkly blue paper using the cardboard guide. Then I threaded the yarn through the paper using a looped needle threader and ta-da I had DIY gift tags. Next year my goal is to make gift tags or potentially Christmas cards with moving parts, like this one I found on Pinterest the other day.